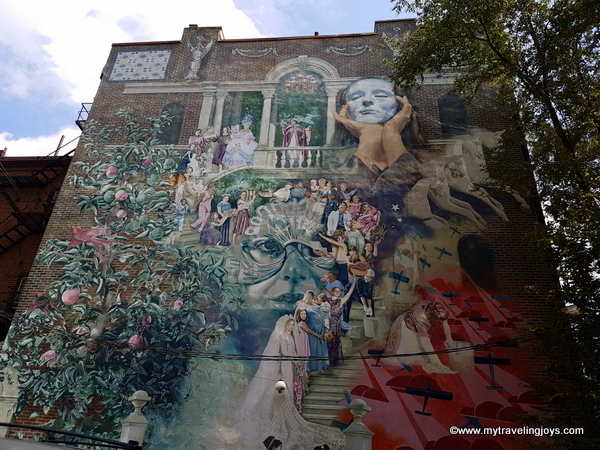 On what happened to be one of the hottest days of summer during my recent U.S. trip, I dragged my college girlfriend around with me to look for street art in Philadelphia. Normally, we meet up in my homestate of Nebraska, but this year she had moved to Philly so we set out to explore her new city for the afternoon. 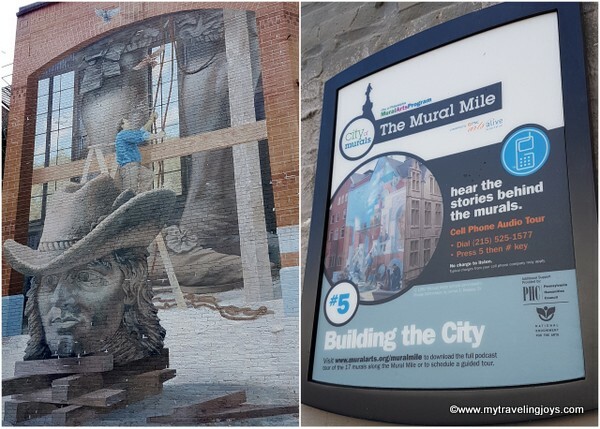 I had read about and wanted to walk along the city’s Mural Mile, which consists of 17 commissioned murals in the city center on a route that’s actually 2.5 miles long. 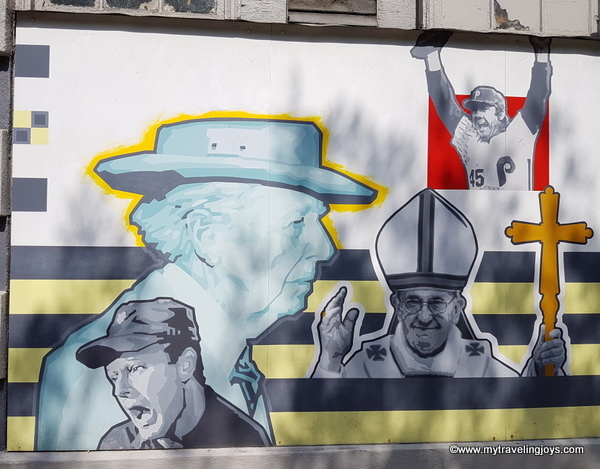 The murals are quite diverse and interesting! 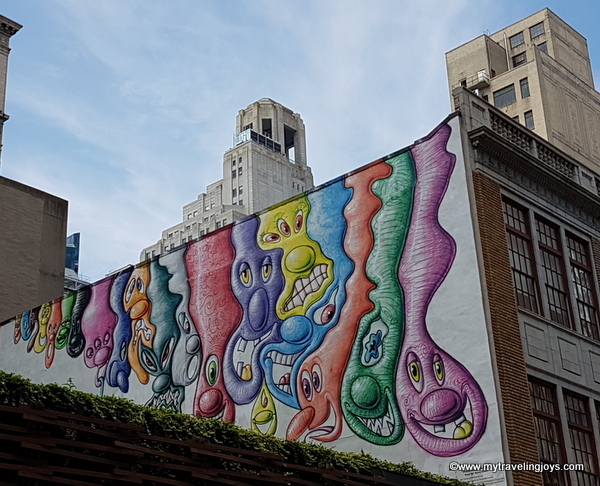 The city’s Mural Arts Program, created in the 1980s in response to the city’s graffiti problem, has helped put over 3,600 designs across the city. 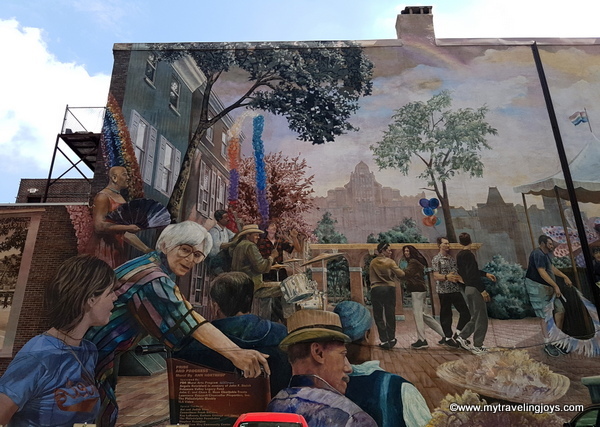 You can find a Mural Mile Map here and can even download an audio tour if you visit Philadelphia yourself. The program also offers several guided tours in case you don’t want to do the DIY version. 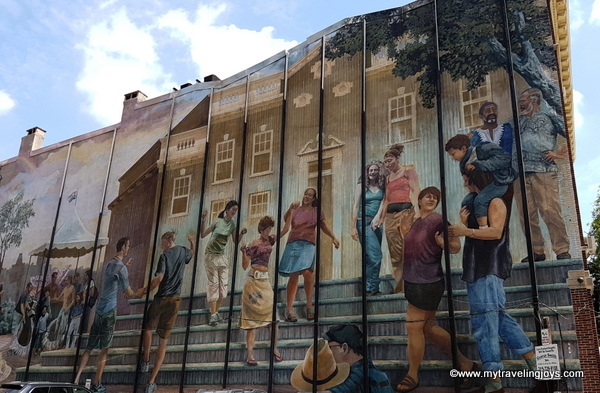 Even though we were sweating like crazy outside, we stumbled upon several of the large-scale murals while we admired the city’s architecture. Other friends might have balked about being outside during the heat, but Julie knows my crazy ways. We had a lot of fun gossiping about our old college days and talking about our latest moves. 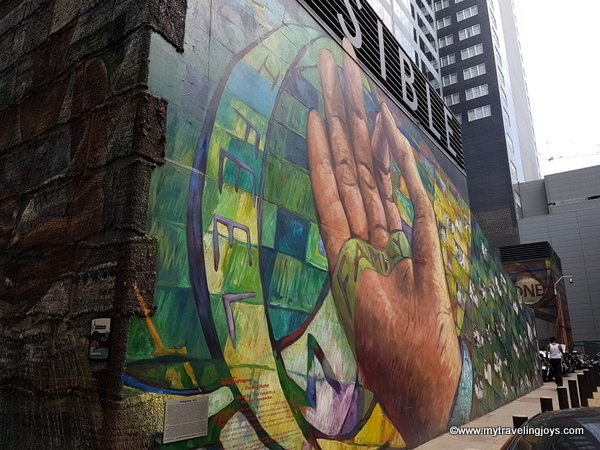 Walking through downtown Philly amounts to a stroll through the world’s largest outdoor art gallery. 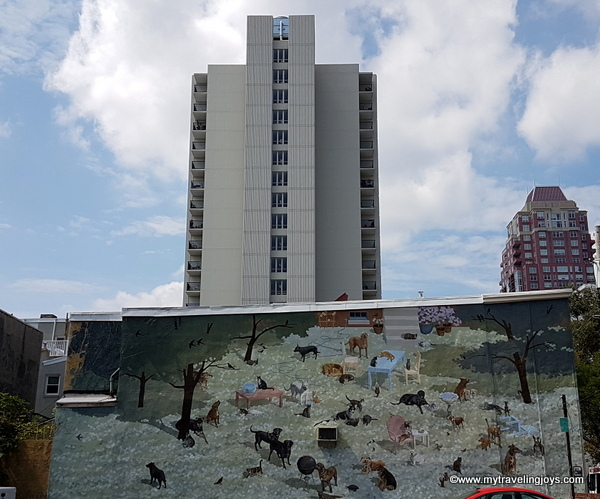 I wasn’t able to find all the names for each mural we saw, but at least you can see some of the city’s talented artists for yourself below. 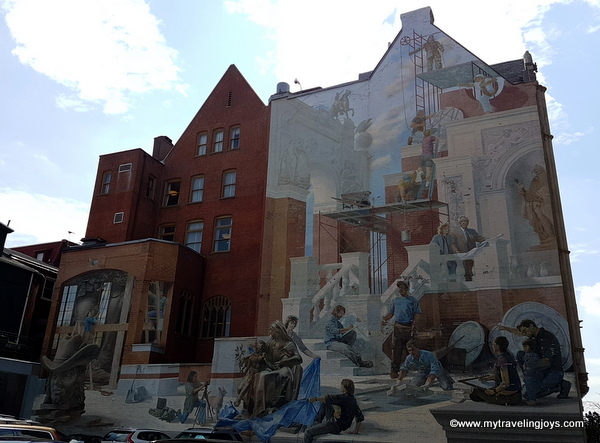 The Philadelphia Muses, located at the corner of 13th and Locust streets, features the nine classical Greek muses of the arts and each one is modeled after a real Philadelphian. 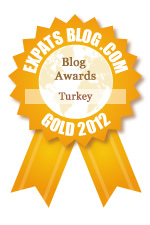 For example, the woman in the green dress is the muse of Performance and the man in the coat is the muse of Word. Finding Home’s theme revolves around homelessness and was made with the help of a number of Philly’s homeless residents. 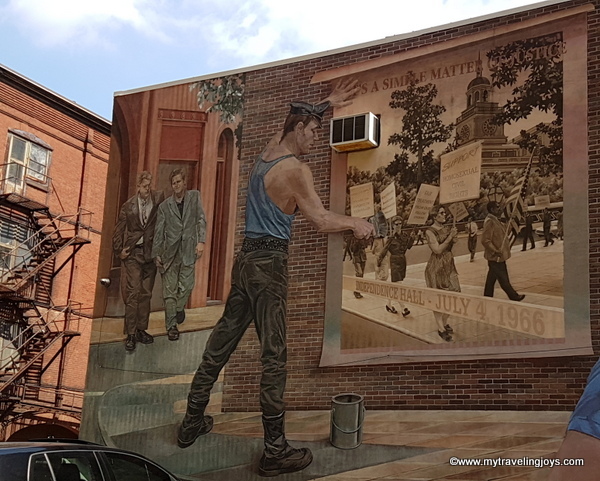 Building the City mural is painted on the side of a historical building on Moravian Street. 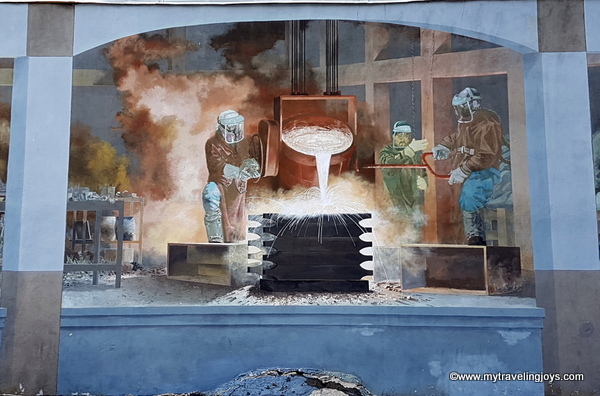 The mural, spanning more than one wall, is the artists’s tribute to Philadelphia architecture and features workers pouring steel, the main component of the city’s skyscrapers. Women of Progress depicts the change in work and gender roles of women. 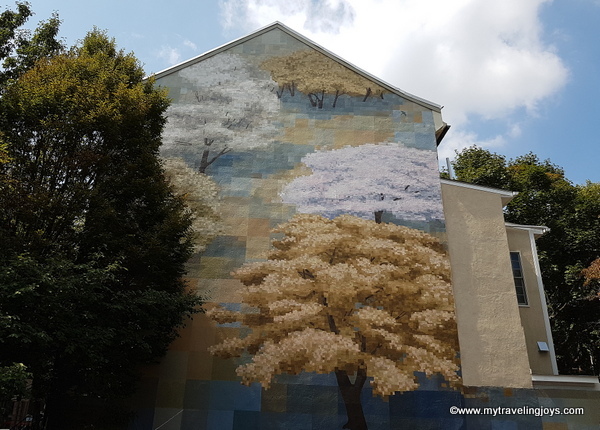 Spring mural by David Guinn depicts a spring day with Bradford pear and dogwood trees blooming in the city. Gimme Shelter is dedicated to the city’s dogs and cats that find homes through the local animal shelters. 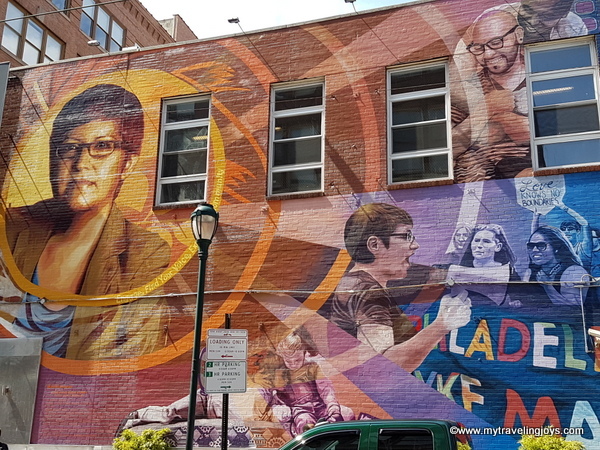 The 55’x165′ Pride and Progress mural, located at 1315 Spruce Street, depicts a gay pride festival in the midst of nearby landmarks, including the Drake Hotel. 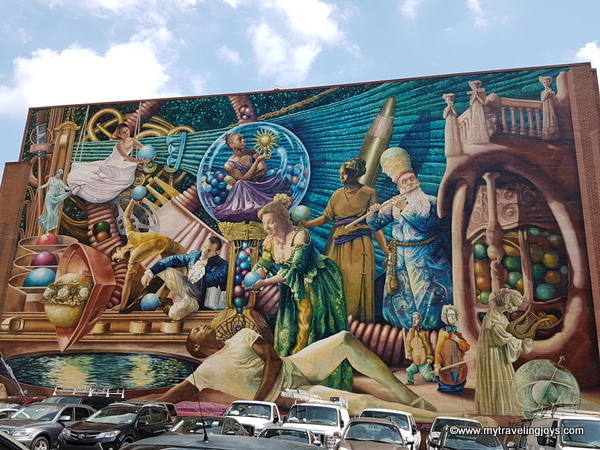 If you visit Philly, be sure to take some time to explore the city’s rich street art scene which includes several hundred murals in addition to the Mural Mile downtown. 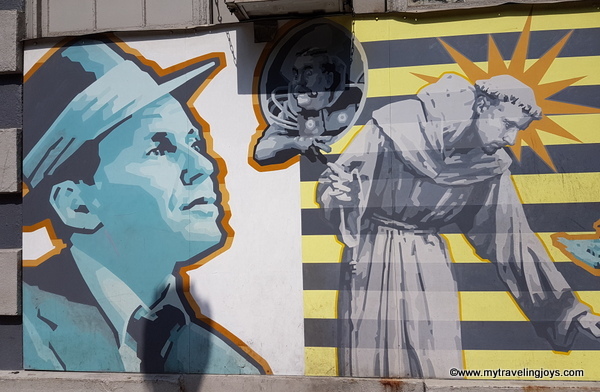 Stunning murals - have you found any in London?